"Save $749" reflects the total savings received in promotional value when you purchase a Bowflex® TreadClimber® TC200. Offer only valid within major metropolitan areas. Offer not available with any other offer and is subject to availability and may change at any time. Offer is valid once to a customer and excludes previously placed orders. Prices subject to change. Offer is not valid at retail stores or outlets. For customers residing in the Northwest Territories, Yukon or Nunavut please contact us at (800) 216-9028. Offer valid only in Canada. Offers valid for a limited time only. 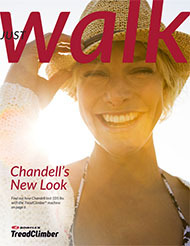 Just Walk™ with the 3 in 1 walking workout. You can pay for your TreadClimber over 12 months on purchases with your Desjardins Accord D Visa card! 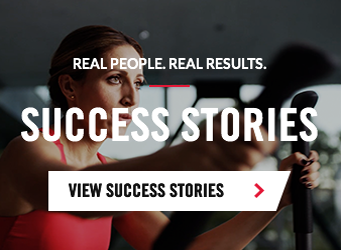 Request free info and discover which TreadClimber is right for you. Faster results with 3 workouts in 1. Lose weight, burn fat and build endurance in as little as 6 weeks. † Satisfaction Guaranteed∞ Individual results will vary. ‡ Source: University of Wisconsin (TreadClimber, 2011) and Adelphi University Study (Stair Climber, 2004).